The Enron Raptors almost weren’t. 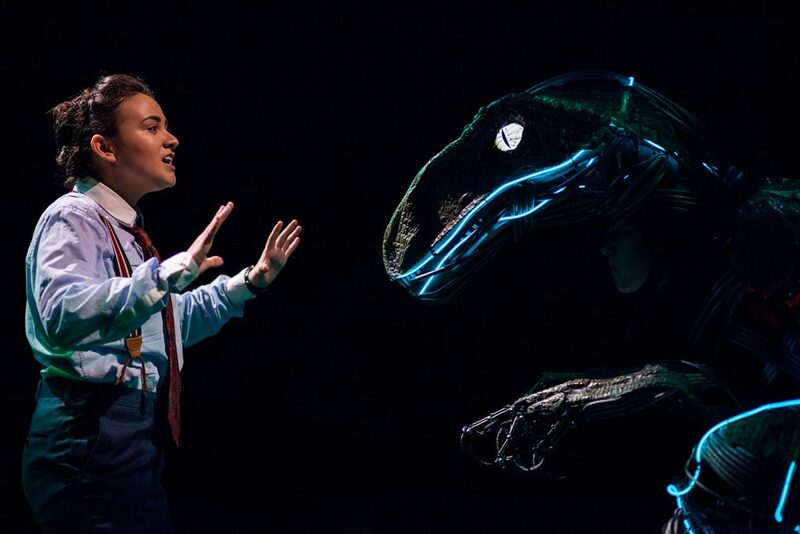 Lucy Prebble’s play, Enron, tells the story of the eponymous energy giant and requires three velociraptors. 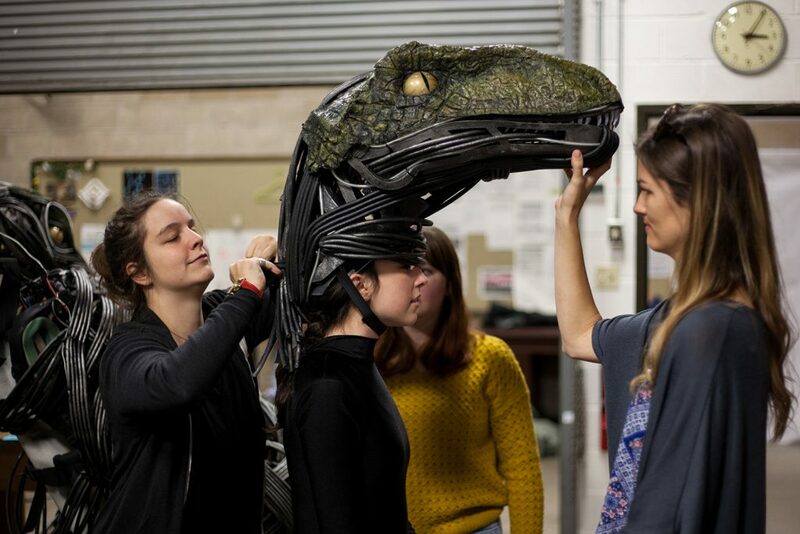 As of April 2017, these monsters existed only in the imaginations of director Hannah Wolf and costume designer Caitlyn Graham, and a budget deadline was looming. 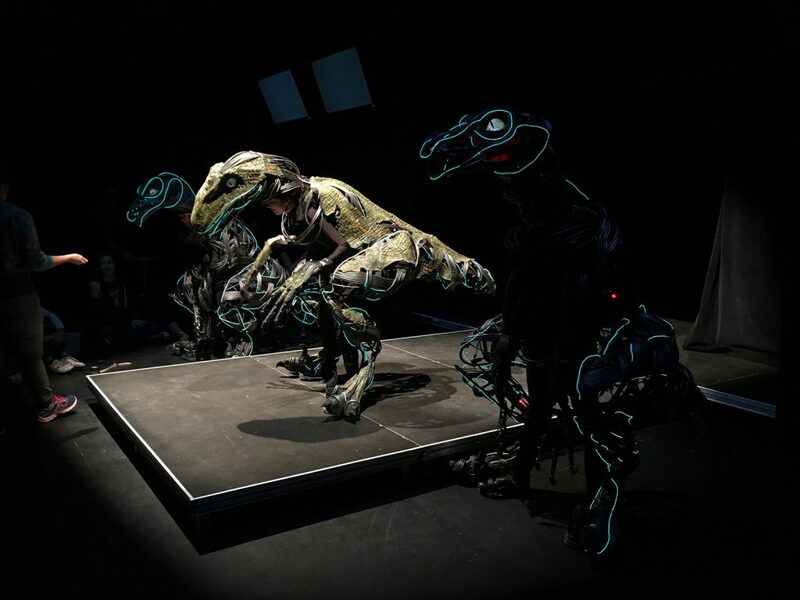 There was a growing consensus that the fabrication of three illuminated raptor suits would either need to be drastically scaled back, outsourced, or even cut altogether. 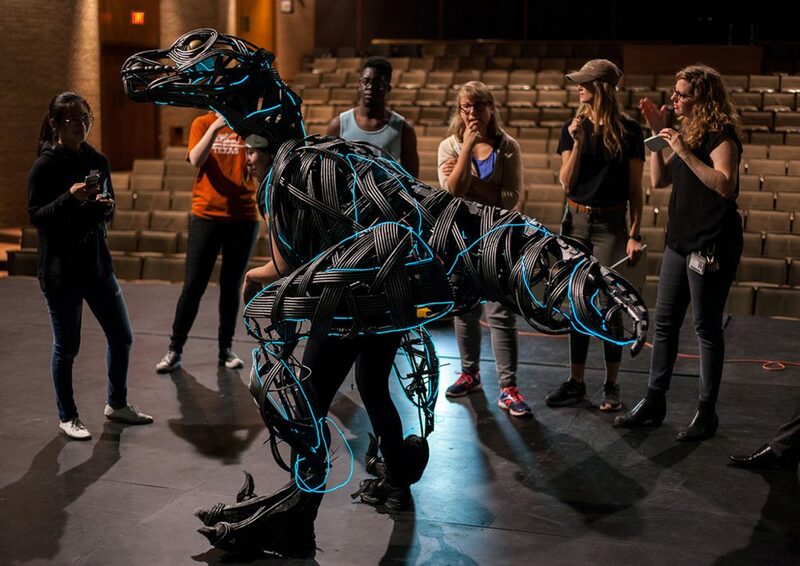 Texas Performing Arts Scenic Art Supervisor, Karen Maness, and Scenic Studio Supervisor, J. E. Johnson, saw a student learning opportunity and proposed an experimental, interdisciplinary class based on the conviction that given a place to work, a modest budget, and access to mentorship, UT students could define their own problems, find their own solutions, manage their own project, and make the magic happen. 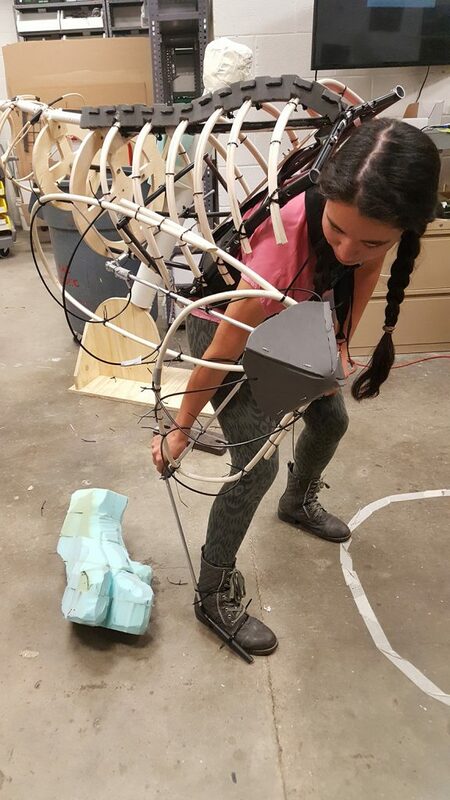 Sixteen students, including theatre and dance, psychology, English, marketing, and engineering majors, accepted the challenge. By late October they had a working prototype. 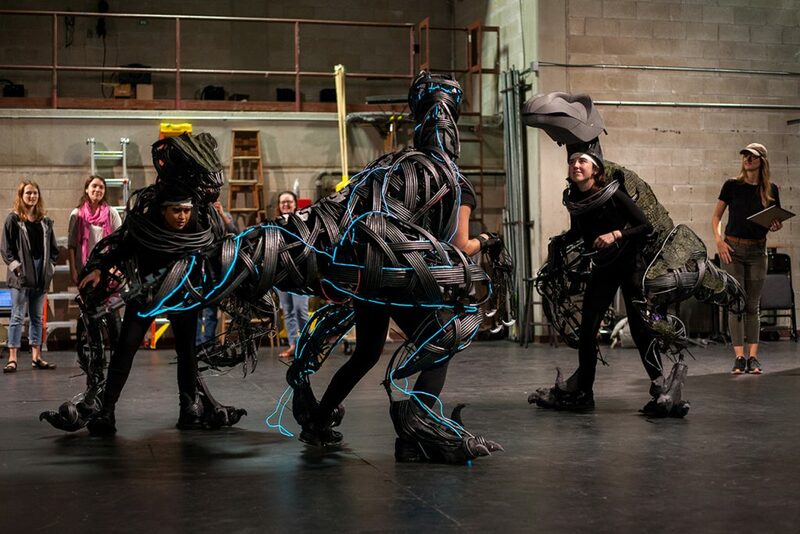 By December they had three fully functional, electroluminescent raptor suits ready to be unleashed on stage. This is their story.